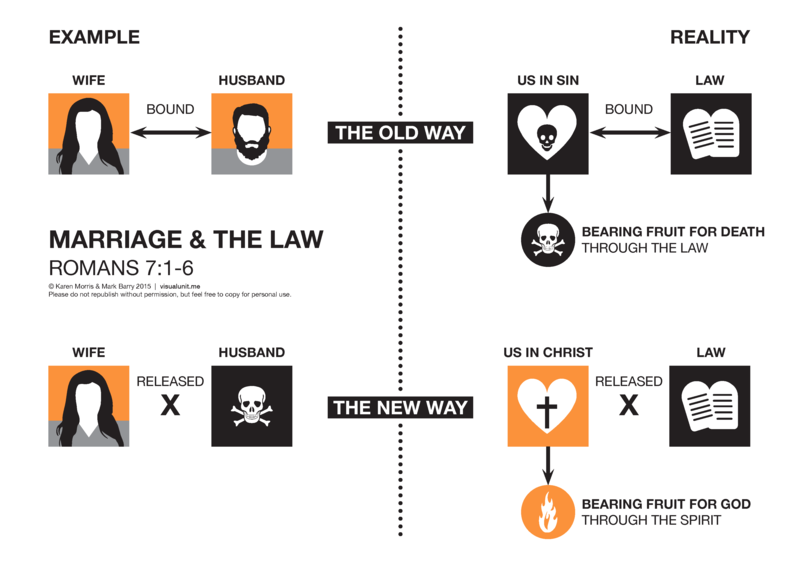 Paul’s contrast of ‘the old way’ under the law and ‘the new way’ in the Spirit, as illustrated by marriage in Romans 7:1-6. PDF version (140 KB). Thanks to Karen Morris for the concept. This entry was posted in English and tagged Law, New Testament, Romans, Spirit. Bookmark the permalink. Hey guys, thanks for all these helpful ilustrations. Is it possible to get the raw data for this one? I would love to translate it into German and use it in our church!